For my first 10k in June, Kinley and I had to drive from Milwaukee to Green Bay for the race. We ended up getting a hotel for the night to avoid extremely early driving, which ended up being a really good idea (it’s over an hour long drive). We didn’t want to eat anything new the night before a race, and since we weren’t home, gluten free pancakes were not an option. We also wanted to make sure we had a filling breakfast the next morning, with food for both before and after the race to tide us over until lunch. So what did we bring? If your hotel doesn’t have a mini-fridge, a simple cooler with ice will do as well for the overnight oats. You can even use the ice bucket at the hotel once you get there if you don’t have a cooler! Even though there was a lot of planning and preparation before we left, we didn’t have to think about anything once we got to the hotel. We just had to make the overnight oats and eat! It’s important to bring enough food along (even too much) because you don’t want to be hungry the night before. It’s not as crucial for shorter races, but when you get up to the longer ones you need all of the fuel you can get. And if you are prone to stomachaches after eating out at restaurants, it is extremely beneficial to pack food that is familiar to you. So if you ever find yourself traveling to a different city for a race, hopefully you find this list helpful! Happy running! 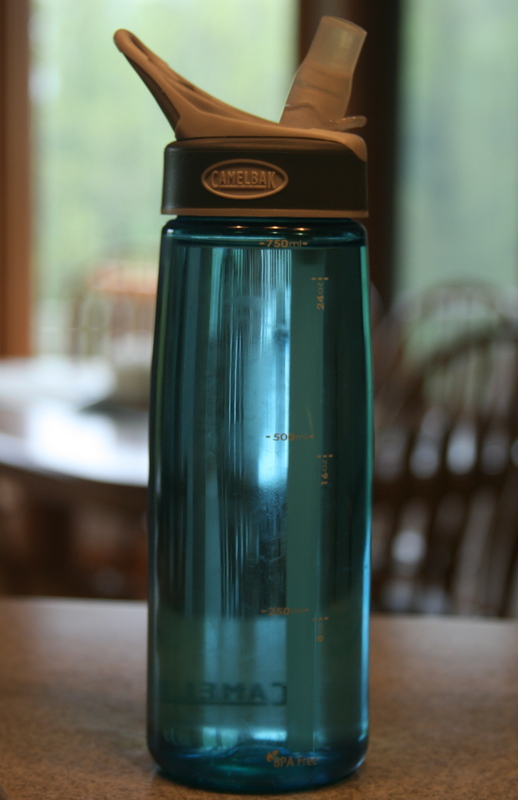 My favorite Camelbak water bottle! I’m not sure about you, but I have a little bit of a water addiction. I know the word out there is to “drink more water!”, but seriously, sometimes I have to tell myself to stop drinking so much water. In fact, there were a couple of weeks lately where I kept feeling slightly off with nothing to attribute it to until I realized how many ounces of water I was taking in versus my naturally low sodium intake. I was definitely lacking in electrolytes, bordering on hyponatremia. It’s a really good thing I figured that out before anything bad actually happened to me. It’s a difficult balance between dehydration and hydration on hot summer days, especially when exercising. How much is enough water? How much is too much? Is drinking while running going to cause a cramp? Is not drinking enough while running going to cause a cramp? Yikes. I am still trying to get used to running with a water bottle. On shorter runs, I might not bother bringing one along because I know I’ll be home soon and I hydrated earlier in the day, but on longer runs I have to remember to bring something and to continue to drink it steadily throughout the run to stay in balance. One other tricky thing is that water alone is not enough, it needs to be balanced with some sort of electrolyte to make it effective. On my journey to clean eating, I gave up so many processed, convenience foods that naturally my sodium intake level dropped significantly, without even trying. I now have to consciously salt foods throughout the day to keep up with my water intake and how much I exercised that day. After my 10k, I even just ate a packet of salt to replace what I had lost. I know you may be thinking, just drink gatorade or any other sports beverage and you’ll be fine, but I am not a fan of some of the ingredients they use and would rather get my electrolytes in a more natural form. A good measurement to go by is 1/4t of salt for every 16oz of water you drink. Awhile back, Kinley found a recipe by Daily Garnish for a Homemade Sports Drink which I now like to take out with me as my mileage is getting higher and the sun is getting hotter. Instead of sticking right to that recipe, we typically just use salt, a squirt of lime or lemon juice and some agave nectar to make it even more natural but just as effective. I have to admit however that I have not been successful at making it Kinley’s way (she is much more the eyeball measurements type of mixer and her guesses on the amounts have not turned out for me – so I ask her to put it together for me!). But as long as there is some salt and sugar/agave in the mix, your body will thank you and be able to recover faster than just drinking water. Make it as sweet or salty as you like by tweaking the ingredients. Moral of the story, drink water, but not too much. However, I am not a nutritionist by any means so if you have serious concerns with your electrolyte balance during long runs, please seek out a professional for advice. Happy Summer Running! 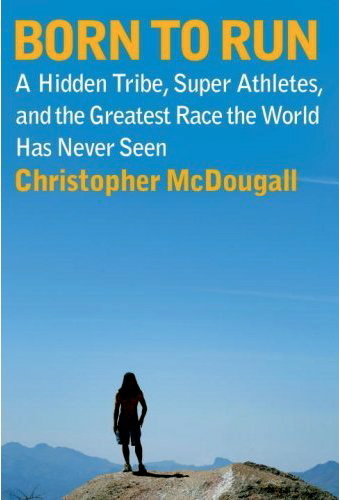 I recently read Christopher McDougall’s book, Born to Run. My sister read it first and told me that I would really like it, so I started off my summer reading with it. Well, I am probably one of the last runners to read this book, but any runner (or want-to-be runner) who has not yet found the chance to read it, I urge you to do so this summer. It was so entertaining and I rarely wanted to put it down. It is not a how-to explanation of running, but reads like fiction and is entirely true. It gave me an overwhelming urge to go out and run which is awesome motivation :). It also made me want to go out and eat like the Tarahumara, mainly to see if I could feel any difference when I used their main ingredients in foods that I prepare. Luckily, I didn’t have to create any recipes myself because No Meat Athlete has a download with a few recipes focused around Pinole and Chia, two of the main ingredients in the Tarahumara diet. Chia is definitely not new to me, I easily eat it every day but I had never heard of Pinole. It is basically toasted corn meal (there are instructions on how to prepare it in the book as well). 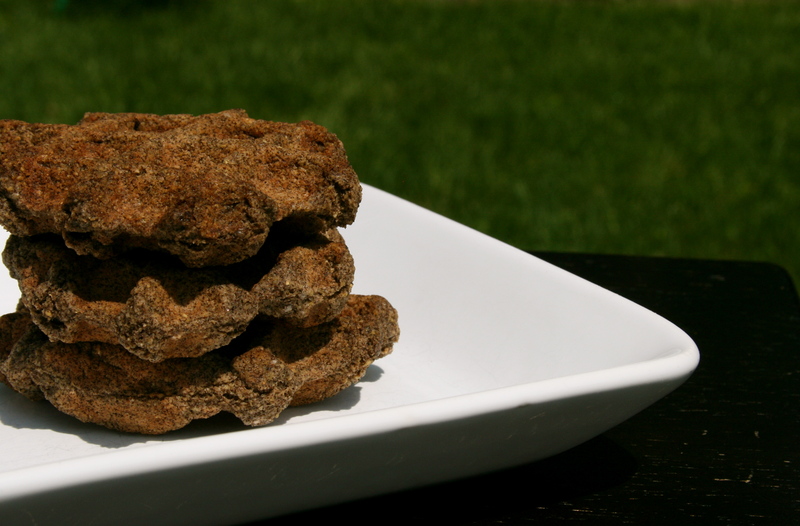 I made the Buckwheat Pinole Pancakes (as waffles instead) a couple weeks ago for dinner and they were absolutely delicious and filling because of the ingredients. I’m not going to give away the recipe here because I want to support NMA’s cookbook he put together. 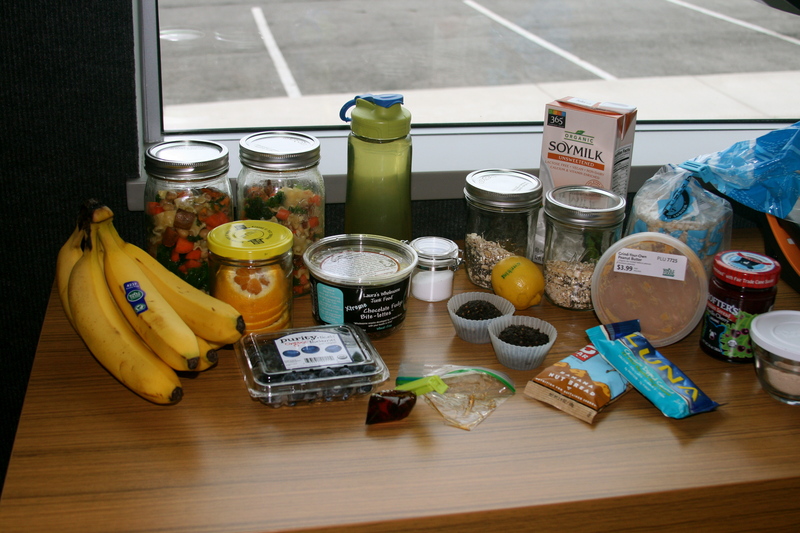 I have learned a lot about running and nutrition for running from the NMA’s website and if you are interested in Fueling your Run the Tarahumara Way, definitely check out his ebook. So go out and get the book from the library, order the ebook, and be ready to run.